In the modern thriller, we often find action dominating scenes and sometimes whole chapters. Action may have a different rhythm on the page, to help the reader follow and appreciate each moment. 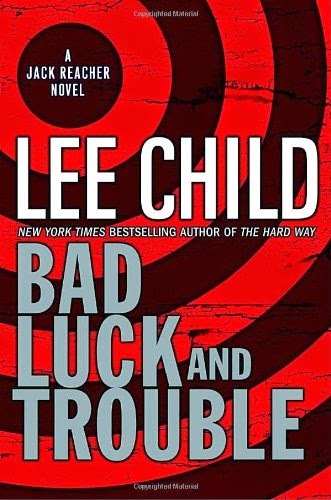 Lee Child's series featuring the hero Jack Reacher is hugely popular, and one of the reasons is that his action scenes crackle. We'll look at a short example from BAD LUCK AND TROUBLE for tips on how to make each moment pack a punch. Reacher put Dixon’s Ford in gear. Checked north, checked south. Hit the gas and turned the wheel and slammed into the lot. Ignored the worn circular path and aimed straight for the center of the space. Straight for the bag man, accelerating, front wheels spraying gravel. Ten feet before hitting him head-on Reacher did three things. He twitched the wheel. He stamped on the brake. And he opened his door. The car slewed right and the front wheels washed onto the loose stones and the door swung out through a moving arc and caught the guy like a full on punch. It smacked him solidly from his waist up to his face. He went over backward and the car stopped dead and Reacher leaned down and grabbed the vinyl duffel left-handed from the floor. Pitched it into the passenger seat and hit the gas and slammed his door shut and pulled a tight U-turn inside the slow Mercedes. Roared back out of the lot and bounced over the curb onto Highland. In the mirror he saw dust in the air and confusion and the bag man flat on his back and two guys running. Ten yards later he was behind the bulk of the wax museum. Then he was through the light, back onto Hollywood Boulevard. Twelve seconds, beginning to end.